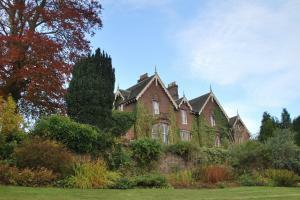 Choose from 20 hotels and guest houses in Perth and Kinross. Shown below a just a selection of the hotels available. To search within an area please use the menu on the right. This traditional stone-built Victorian building is a family-run hotel overlooking the beautiful Tummel Valley. From its high position, the Rosemount Hotel enjoys beautiful views over Pitlochry and the hills beyond. 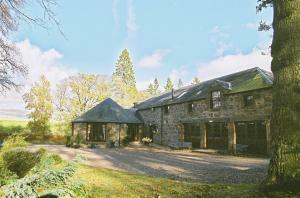 It is an ideal base from which to travel around Perthshire and Central Scotland. The Rosemount offers 2 bars and a restaurant serving only freshly prepared food. Enjoy Scottish hospitality and local entertainment. Some rooms have flat-screen TVs, and most have at least a partial view of lovely scenery. Sky Lodge is motel-style accommodation at Perth Airport. It is 10 minutes from Perth city centre. The lodge is located north of Perth and west of Dundee, and has free parking and a free wireless internet hotspot in public areas. Continental breakfast is included in the room rate. The Aviator Bar and Restaurant is close by and serves fresh, well-prepared meals to suit all. Hidden away amid 250 acres of breathtaking Perthshire countryside lies the exclusive Loch Rannoch Hotel. With its comfortable lounges, sumptuous bedrooms and stunning views, there's something for everyone. The hotel provides you with a moment for relaxation. For those who prefer something more active then our water sports marina and indoor leisure centre will certainly get the adrenaline pumping. So whether you prefer lazy days or sporty ways, you're free to do as you please. Marvel at the rugged Scottish mountains (including the towering peak Schiehallion), enormous lochs, winding rivers and thick woodland as you drive to local distilleries, castles, craft centres and famous historical sites. The Ptarmigan Restaurant serves a table d' h?te menu each evening and at the weekends. Please note on Friday and Saturday evenings we operate a smart dress code (no jeans and trainers) in the Ptarmigan Restaurant. This former coaching inn is now a comfortable, modern hotel, offering en suite accommodation, free on-site parking and free wireless internet access in the public areas. Dunkeld is located in some of the area's most beautiful countryside and the Royal Dunkeld Hotel makes a great base from which to explore the region. All of the en suite rooms have TVs, radios, tea/coffee making facilities, hairdryers, trouser presses and telephones. The tastefully refurbished restaurant offers an innovative menu, which changes daily to reflect the finest, freshest seasonal produce available locally. There is an extensive wine list and a wide range of liqueurs and whiskies to complement your meal. Gargoyles Lounge Bar has a relaxing and welcoming atmosphere and offers an extensive lunch and supper menu. The traditional 1809 bar has an open fire, a pool room with a dartboard and a full-sized snooker table downstairs. Set in delightful grounds, overlooking the beautiful city of Perth, this Victorian building is just a short walk from the city centre and has its own large private car park. Originally built in 1853, Sunbank House is now a privately owned 4-star small hotel, offering the kind of attention to detail only found in a high-quality establishment. Maintained to a high standard, this elegant hotel offers beautifully furnished en suite accommodation. All of the comfortable rooms have TVs, hairdryers, trouser presses, telephones and tea/coffee making facilities. Family rooms and ground-floor disabled facilities are available. Wi-Fi wireless broadband internet access is available throughout at an additional cost. The hotel is fully licensed. Dinner is only available by prior arrangement but an imaginative snack menu is always on offer. The hotel also caters for small corporate meetings for up to 20 people. Free parking is available for guests. Set within 280 acres of unspoiled Perthshire countryside, this elegant hotel provides the ideal choice for relaxing rural breaks or business events in a peaceful setting, yet just12 miles from Perth. 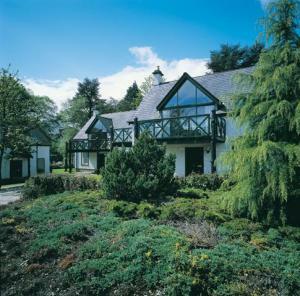 A beautiful country residence, the Hilton Dunkeld House Hotel provides an on-site activity centre, complete with clay pigeon shooting, quad biking and 4x4 driving. Alternatively, you can relax in the health club, Living Well, which boasts a swimming pool, gym, sauna and steam room. For business guests, the Dunkeld House is ideally located just off the A9 and little over 1 hour from Edinburgh or Glasgow. There are 7 multi-function rooms, including 4 comprehensive meeting rooms, accommodating up to 1150 guests. Nestled at the foot of Glenisla, this charming lodge provides a haven of peace and tranquillity beside Lintrathen Loch, yet within easy reach of local towns, including Kirremuir and Blairgowrie. 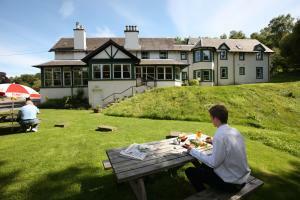 A well-established restaurant with rooms, Lochside Lodge is set within a beautifully converted farmstead. Today it provides individually furnished bedrooms and the unique Roundhouse Restaurant, serving fine cuisine. The Steading Bar offers the perfect setting for a relaxing pint of local ale. Whether you are looking for a relaxing break or to enjoy the area's numerous sporting activities, including cycling, golfing, fishing, shooting, walking or climbing the Munroes, the Lochside Lodge and Roundhouse Restaurant offers the perfect location. With a magnificent location on the banks of Loch Tay, close to the picturesque village of Kenmore, these charming and well-appointed cottages offer luxurious self-catering accommodation. The Kenmore Club was originally the walled garden for the nearby Taymouth Castle, home of the Marquis of Breadalbane. Today, this small, exclusive resort consists of a series of cottages, constructed in the same unique style as the nearby village of Kenmore. The resort includes a swimming pool, a tennis court and a children's playground, as well as a restaurant. Each cottage has a large lounge, with comfortable chairs, a TV and a large put-up bed. Every cottage also has a dining area and well-equipped kitchen, with a coffee maker, dishwasher, fridge, microwave and oven. There is a washing machine and drying area in all cottages. Just across the way, you will find Scotland's oldest inn, with a chimney breast inscribed by the hand of Robbie Burns himself. Situated within its own private estate, overlooking the River Tay, gateway to the Scottish Highlands, this charming country house provides luxurious accommodation in tranquil surroundings. One of the UK's leading country house hotels, Ballathie House aims to offer a traditional taste of the Scottish Highlands. It features 41 beautiful en suite bedrooms, each one individually decorated, and award winning cuisine in the restaurant. Set in Kinclaven, Stanley, just 12 miles from Perth city centre, which is home to a theatre, concert hall and specialist shops, Ballathie House occupies an ideal position from which to explore the many attractions of the Scottish Highlands. Dating from circa 1870, this former Drover's Inn is now a cosy and modern family-run hotel offering a warm and friendly welcome. Nestling at the gateway to Royal Deeside in the heart of beautiful Perthshire, the hotel is only 10 minutes from Perthshires second largest town Blairgowrie. We offer the perfect base from which to explore the magnificent countryside and many visitor attractions available nearby. You can also enjoy the many outdoor activities the area offers. This charming country inn and restaurant is situated in delightful Glen Devon near Gleneagles and just 14 miles from Perth and Stirling. Enjoy a stay in one of the comfortable rooms as you take a break in this relaxing countryside retreat. The restaurant offers locally sourced food, with highland beef, venison, lamb, fish and shellfish all coming from local farms. There is also a good selection of locally brewed ales and whiskies for you to sample. 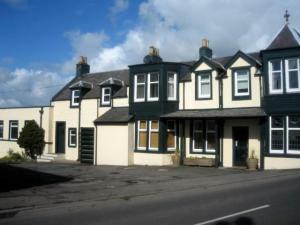 An Lochan Tormaukin is owned and run by the McKie family who are proud of their country inn and restaurant. This charming residence offers delicious locally sourced food and the warmest of welcomes in the depths of the Perthshire countryside, yet is only an hour's drive from Glasgow and Edinburgh. With free on-site car parking, this fine country house hotel rests in 6 acres of beautiful landscaped gardens, only a few minutes' drive from Perth. With free Wi-Fi, the Best Western Huntingtower Hotel has character and charm that attracts guests for Sunday lunch and fine dining. After exploring the many castles and ruins of the stunning Perthshire scenery, savour a fine whisky in the comfortable bar or sample the excellent food. Convenient for the main motorway links, the Huntingtower is one of Perth's premier wedding venues. By the picturesque River Tay, 16th-century Kenmore Hotel is Scotland's oldest inn. Kenmore is a village surrounded by acres of stunning countryside, including woods, castles and mountains. Kenmore Hotel provides comfortable rooms with en suite facilities, a TV and a DVD player. The hotel's Taymouth Restaurant offers excellent AA Rosette standard cuisine in an elegant setting, with panoramic views over the River Tay. The Poet's Bar is a traditional bar, displaying a poem written on the chimney, by Robert Burns. The Boars Head Bar offers a terrace overlooking the beautiful River Tay. Free Wi-Fi internet access and free parking are available to guests.